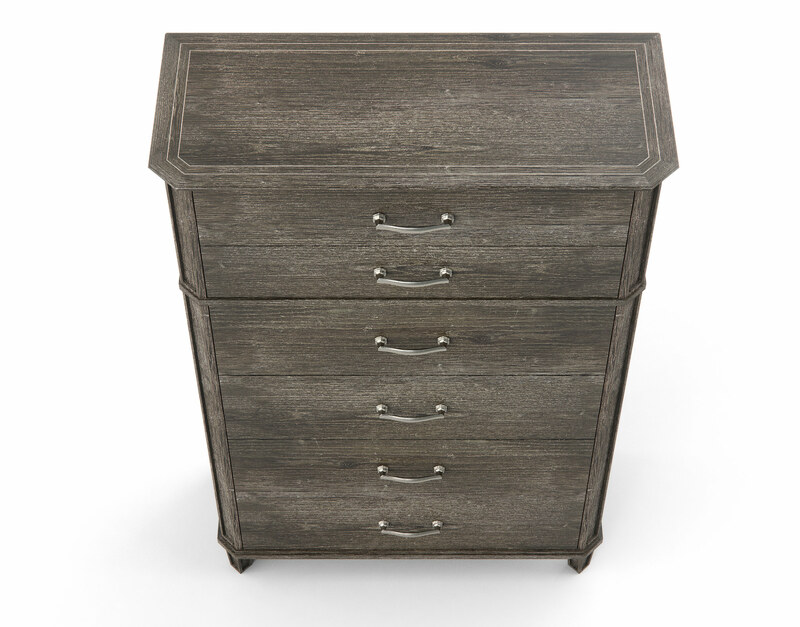 This Alvius Drawer Chest 3D model features an elegant 6-drawer design bathed in a bleached oak veneer texture and accentuated by a rose-gold colored-nickel hardware. 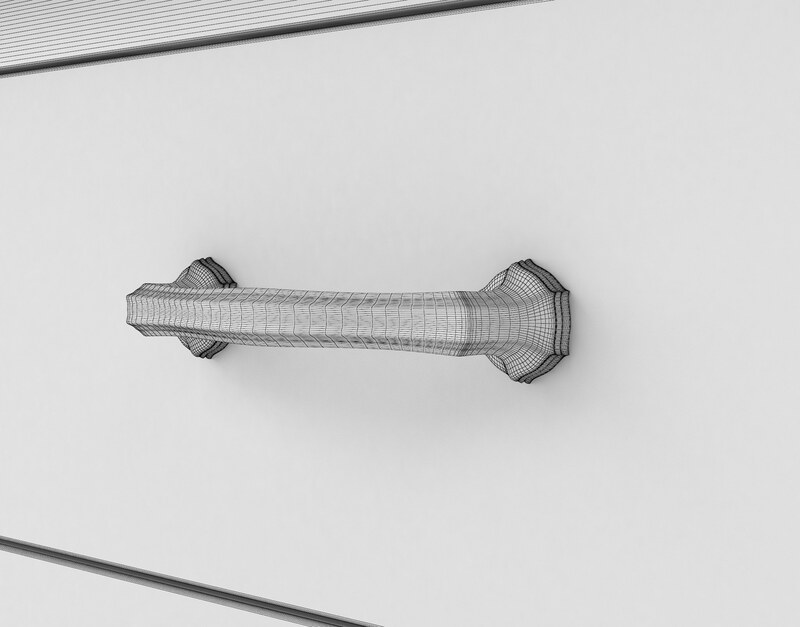 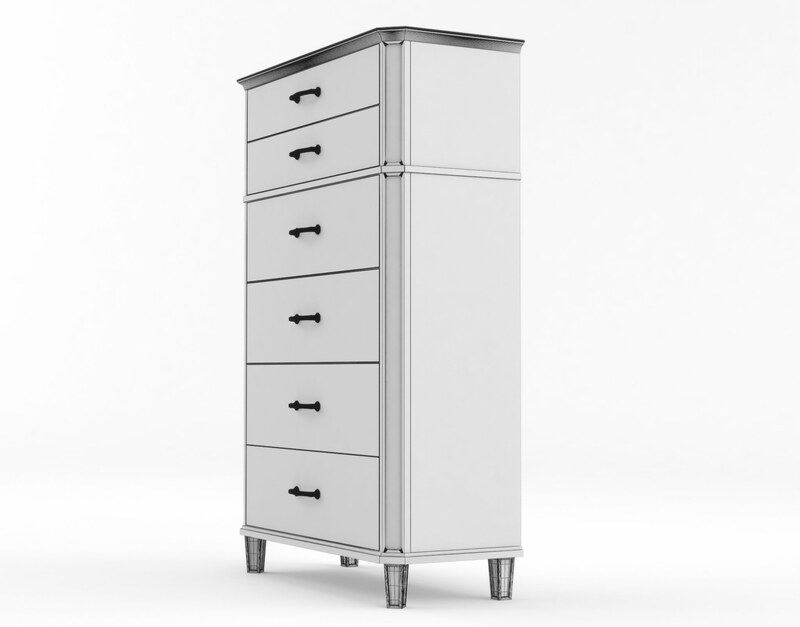 This 3D model has been optimized for high resolution rendering with 3DS Max and VRay and includes tileable textures and uniquely build VRay shaders. 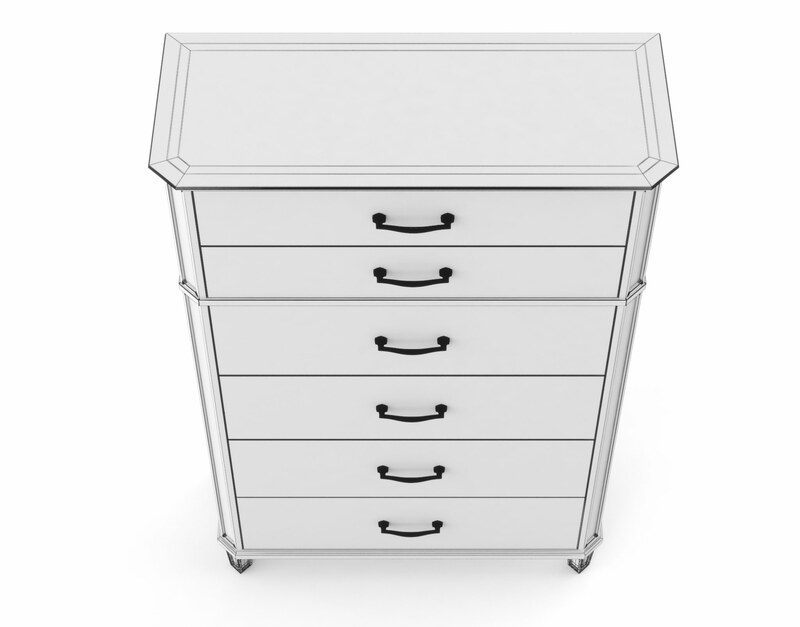 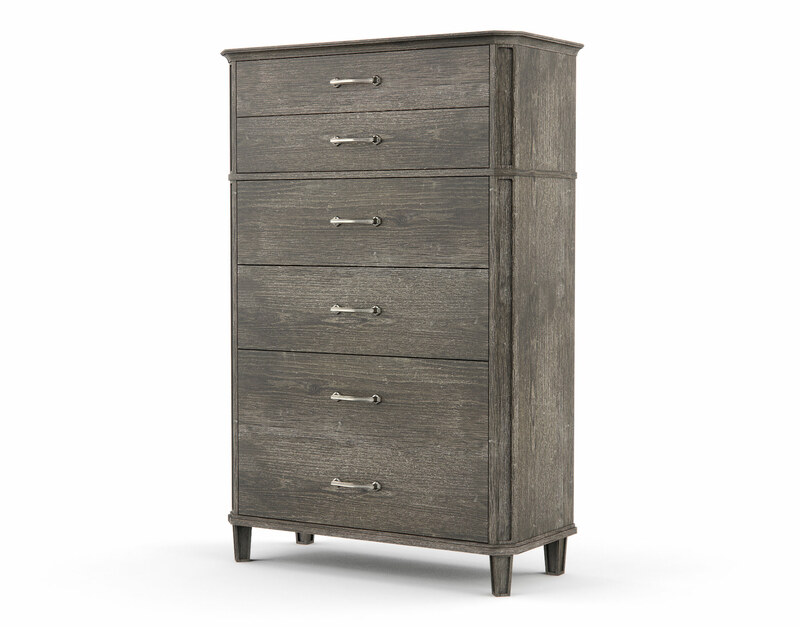 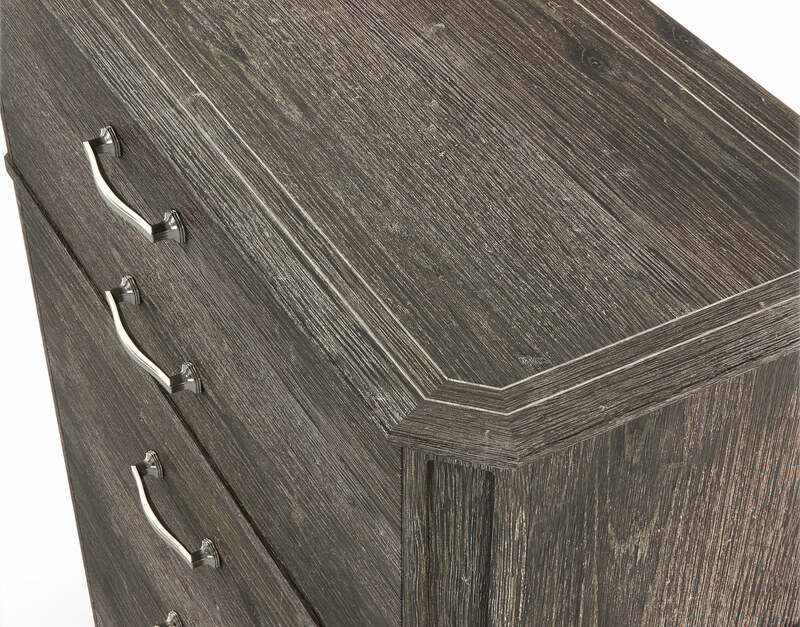 An excellent storage piece to be featured on its own or a compliment to other pieces from the Alvius Bedroom Collection. 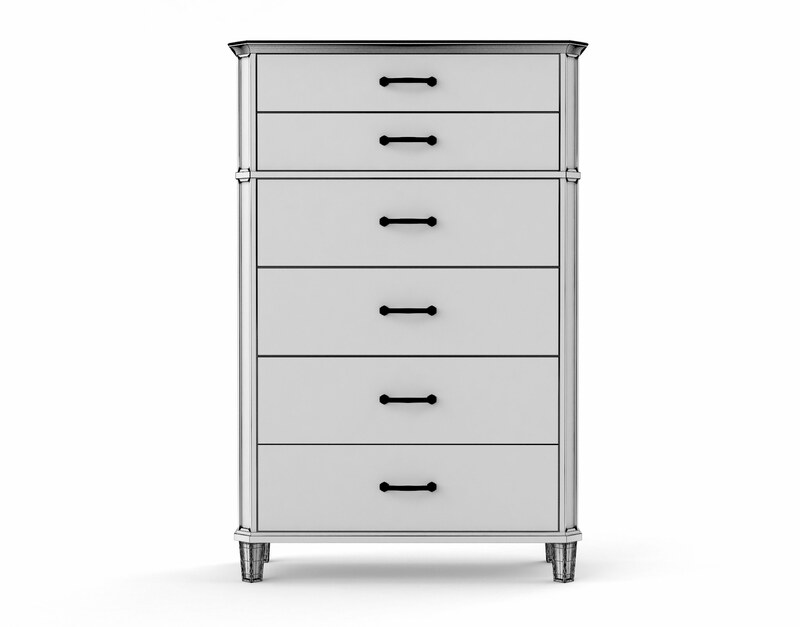 The Alvius Drawer Chest is a tall elegant member of the Alvius Bedroom Collection and brings with it a soft sense of chic naturalism to any scene. 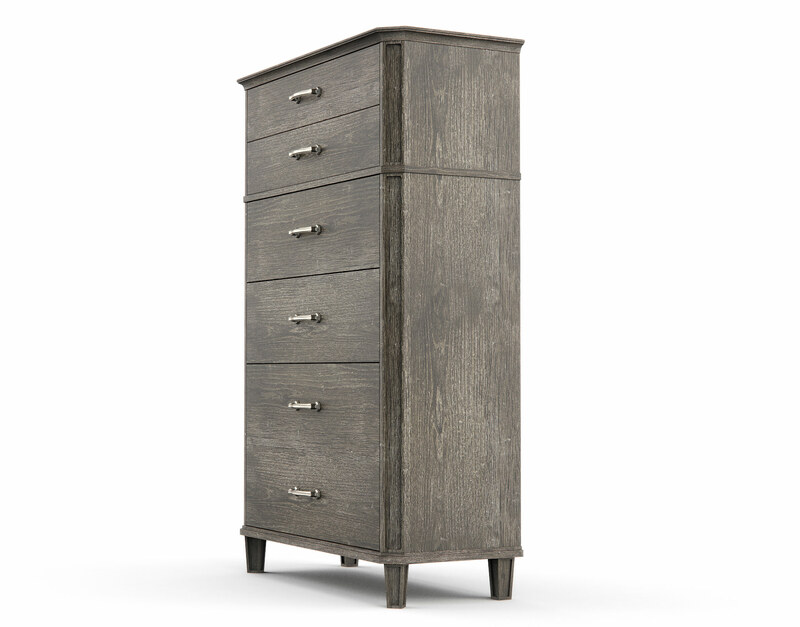 This 3D model features a bleached oak veneer texture with light oak inlays on the top, recessed carvings on the offset-angle feet, and large amounts of storage within four large-scale lower drawers and two slimline drawers on top—both of which are above a separating partition. 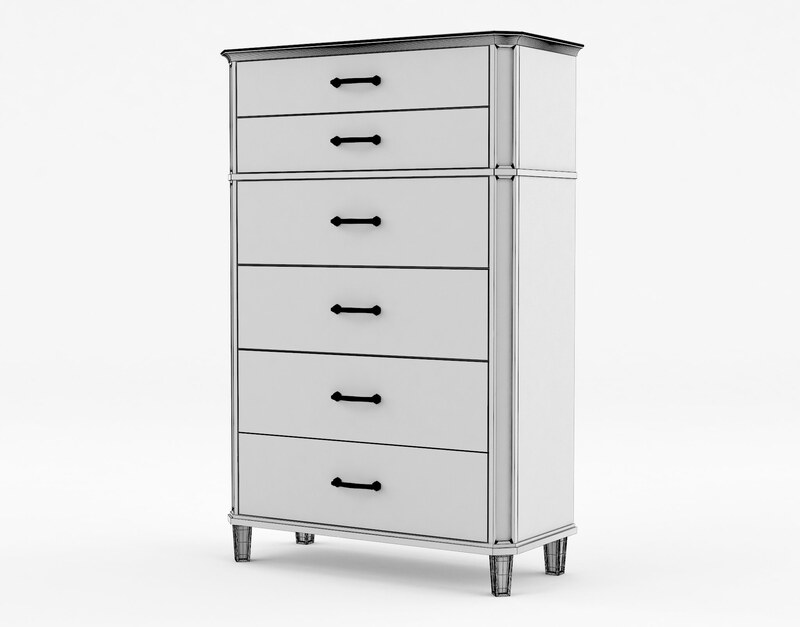 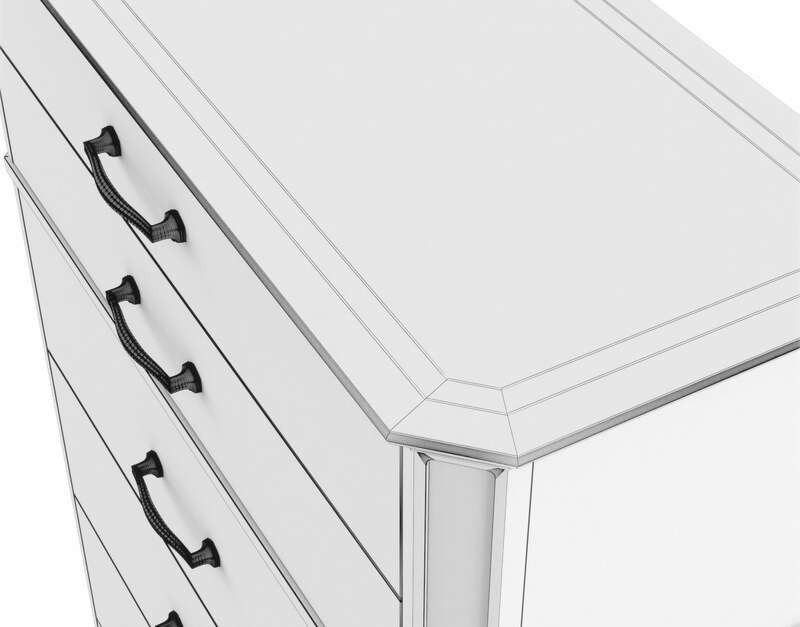 The Alvius Drawer Chest 3D Model was inspired by oceanic French Chic cabin living and meant to offer a soft, warm, and friendly presence to environments. 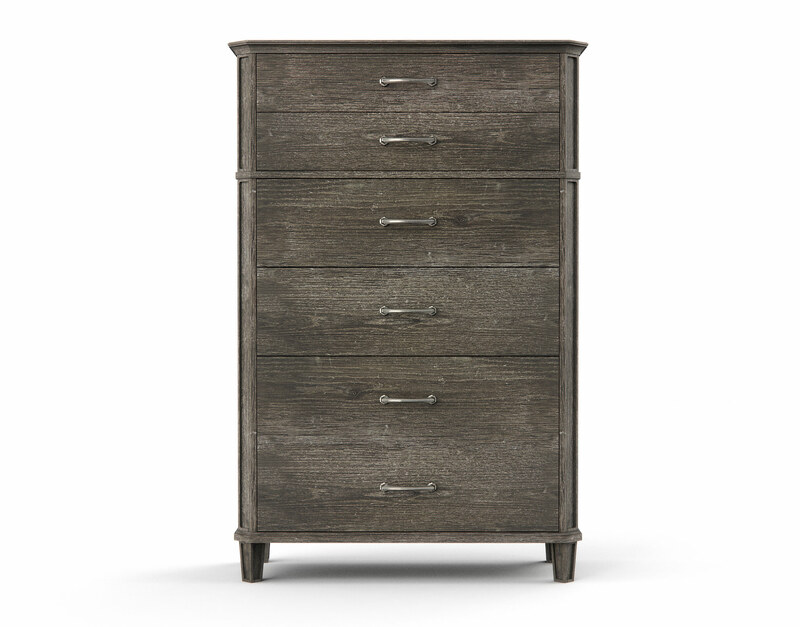 This piece is best suited to be included in open air scenes where natural materials such as concrete, reclaimed woods, and soft linens are used—and especially in scenes featuring natural lighting solutions. 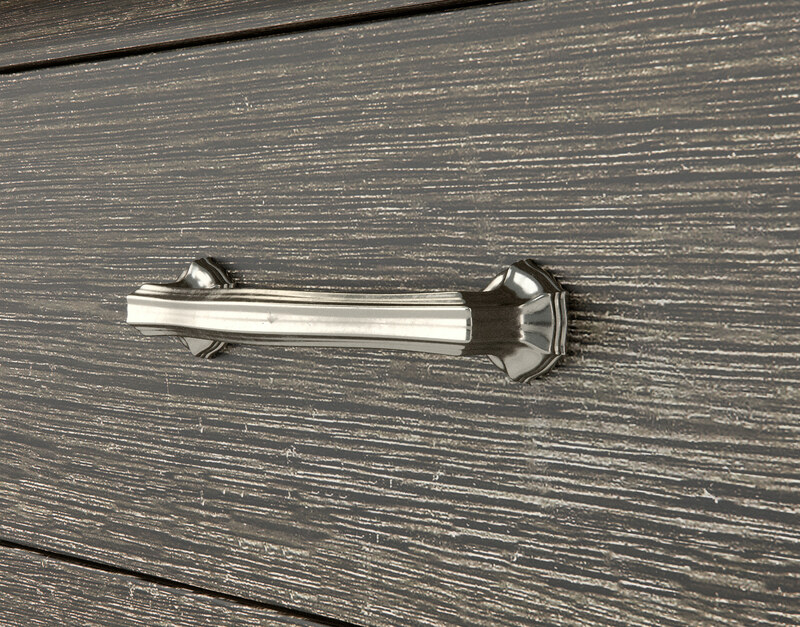 This model has been optimized in 3DS Max and VRay for high-resolution photorealism and features tileable textures and uniquely crafted material shaders.